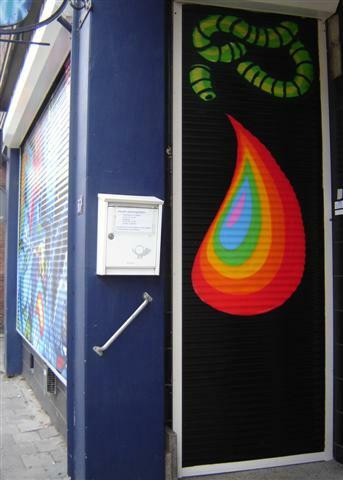 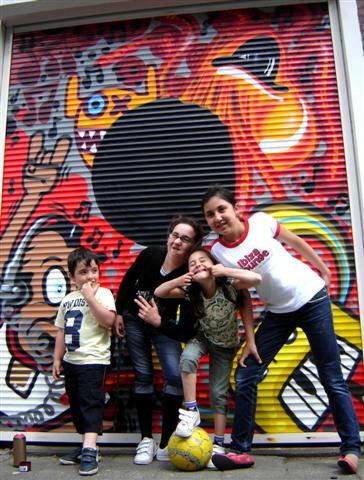 Last week we painted 2 new shutters in Rotterdam city centre. 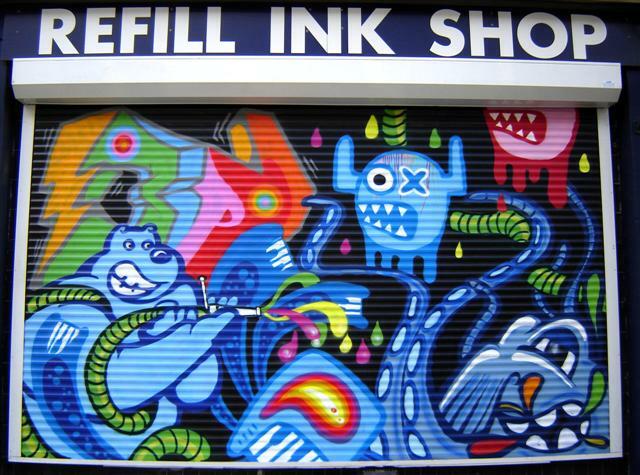 One for TNFC entertainment & studio and one for the Refill Ink Shop. 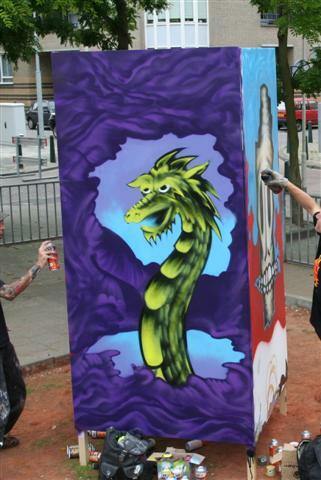 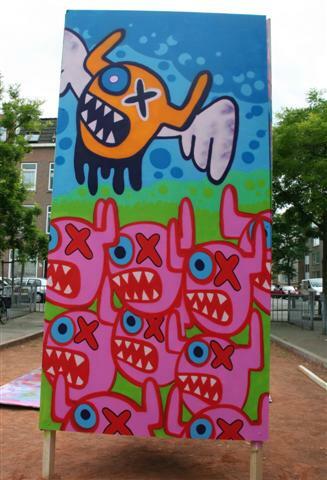 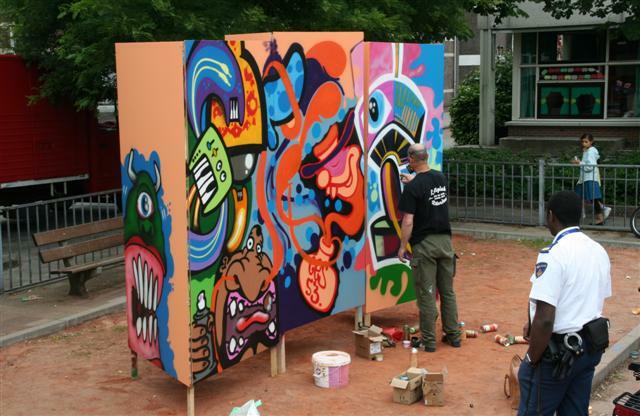 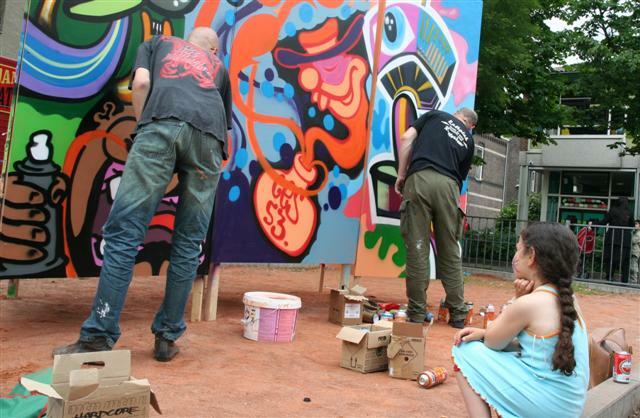 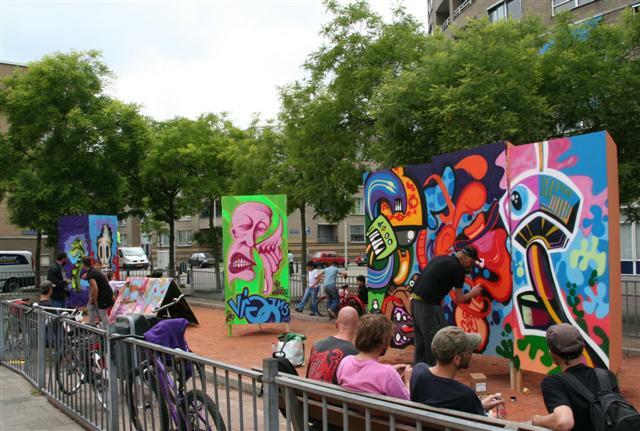 Last saturday we painted 6 pyramides during "Street challenge" a neighbourhood party in Rotterdam North. 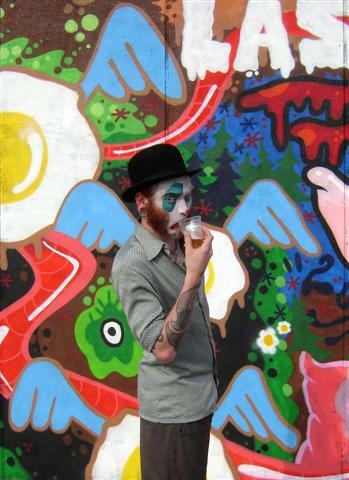 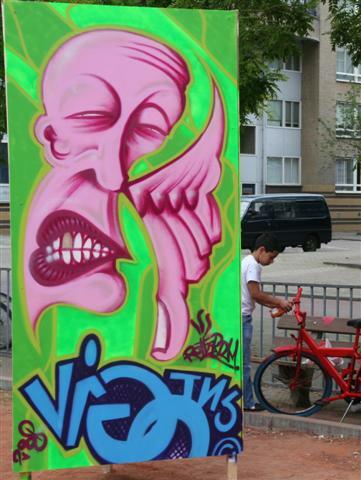 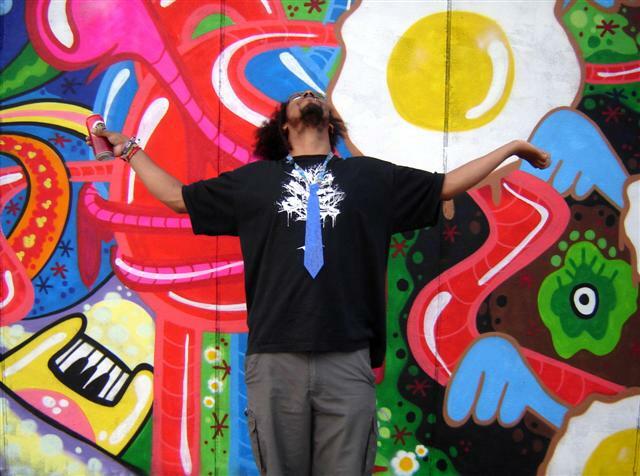 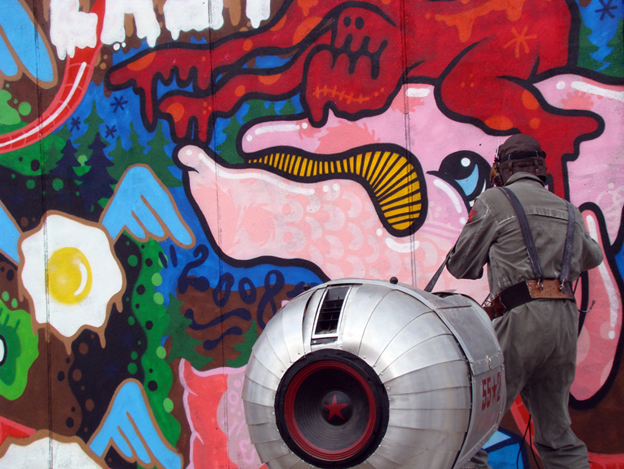 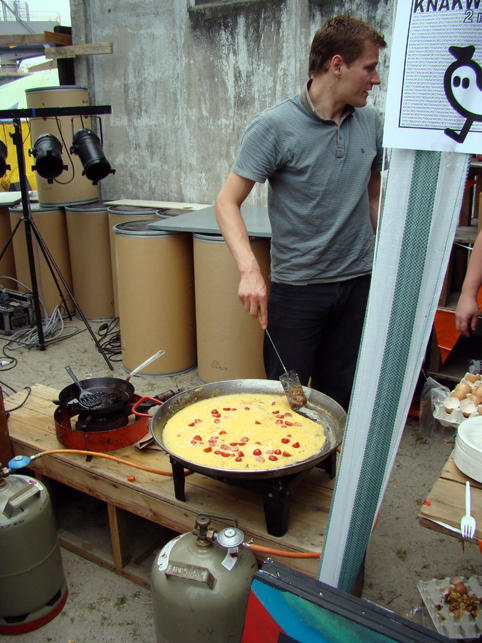 Participating artists were: Boortorrie, Pinwin, Grrt, Ces53, Ox-alien, Sake, Sterf, Yen, Tomek(Poland) and Vigo(England). 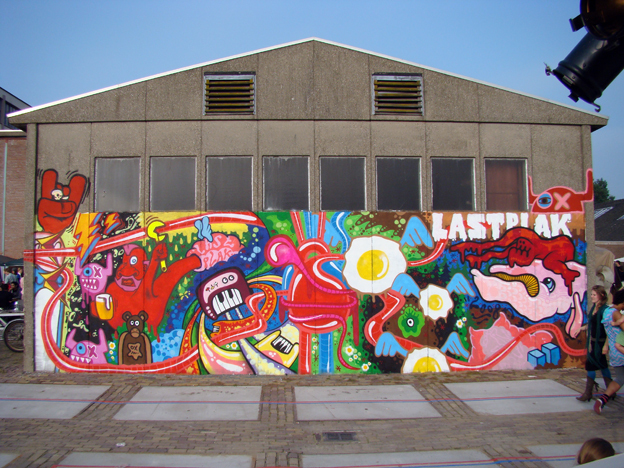 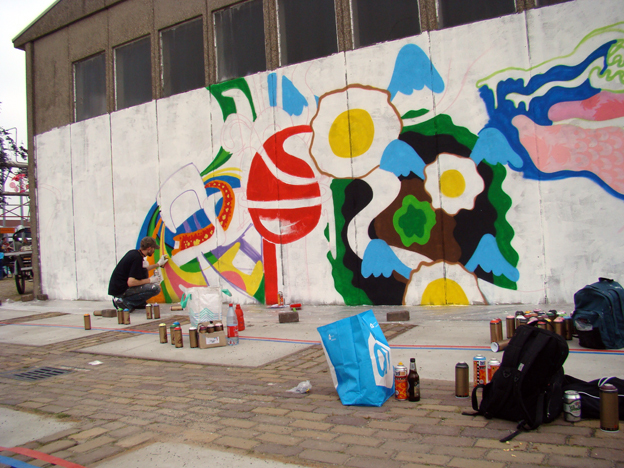 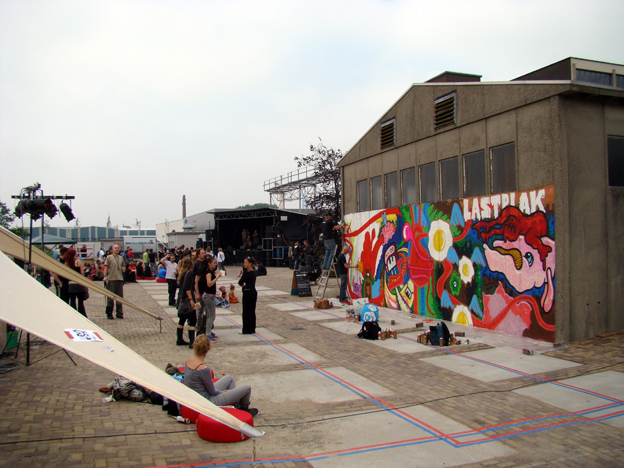 Last Saturday we rocked a wall at the Blikopener Festival in Delft.